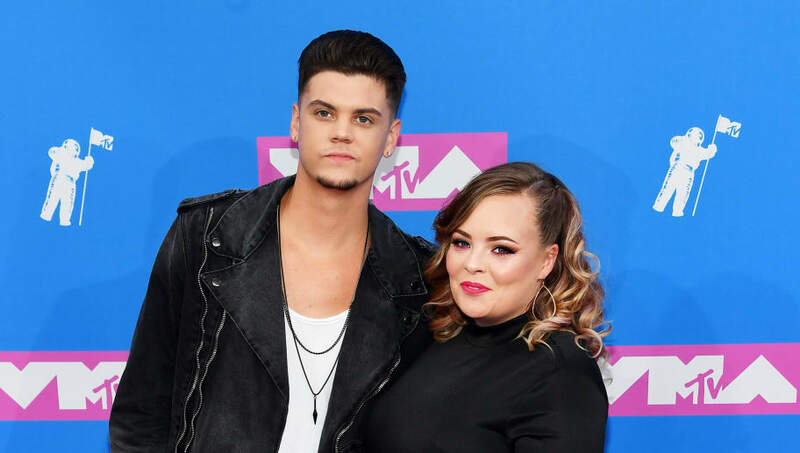 One of the less tumultuous relationships on Teen Mom--if there is one--might surprisingly be the marriage between Tyler Baltierra and Catelynn Lowell. They've certainly been through a lot, but the two have seemingly helped one another significantly through rough times, and that's why we were thrilled to hear the couple welcomed their third child this past Thursday. The baby girl, who Cate and Tyler named Vaeda Luma, has now been shared with the world for the first time in an adorable photo Tyler posted on Instagram. "Welcome home Vaeda!," Tyler captioned the picture of the newborn in her baby carrier. "Mommy & Daddy love you so much & can’t wait to watch you grow with love in this crazy family of ours!" Welcome home Vaeda! Mommy & Daddy love you so much & can’t wait to watch you grow with love in this crazy family of ours! ??? Though the baby was unexpected and Tyler admitted he was far from thrilled when he found out Cate was pregnant, it was clear during the lead-up to Cate's delivery that their relationship was still intact, and Tyler is now as excited as ever that he has another child with the 26-year-old star. She’s here & I’m in love! ??? Congratulations to Cate and Tyler for the healthy baby girl!